Could Ukraine Be The Next Silicon Valley? 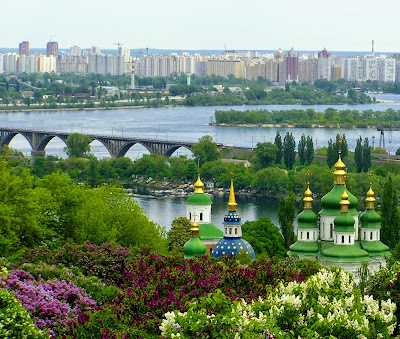 KIEV, Ukraine -- Even among the sordid histories of Eastern Europe, Ukraine is particularly tragic. Kiev is a regional outsourcing center. In just the 20th century, it was starved by Stalin, decimated by Hitler, subjected to seventy years of incompetent Soviet rule, looted by its own government and, most recently, invaded by Putin. Ukraine’s situation today remains desperate. The country is in dire financial straits, dependent on financial assistance from the IMF, US and EU. Crimea has been annexed, the eastern provinces of Donetsk and Luhansk are caught in a frozen conflict and its chief antagonist, Russia, controls its gas supply. Yet still, Ukraine is not without promise. While much of its Soviet era industry lies dormant within the conflict zone, its tech industry is booming. I recently talked with Yevgen Sysoyev of AVentures, a venture capital firm in Kiev, and he thinks that we may be seeing the birth of a new Ukrainian renaissance. While that may sound crazy, he might very well be right. What Makes A Tech Mecca? Ever since Silicon Valley emerged as the center of the technology world in the seventies and eighties, others have tried to followed its lead. Most have failed, but a few, such as New York, Tel Aviv, and Austin have succeeded brilliantly. No one has unseated the Bay Area yet, but these places have built thriving technology startup scenes. If you examine today’s startup hubs further, it becomes clear that they all have some things in common. Each, for instance, has strong universities turning out capable technology talent. They also have what Richard Florida calls the Creative Class—a tolerant environment that promotes an active subculture of art galleries, music scenes and avant garde cafes. Anybody familiar with the technology industry in Ukraine knows that Kiev has these things in spades. It is already a thriving outsourcing center. Elance, the leading online freelance site, ranks Ukraine as the third best place in the world to find people with advanced skills. Kiev is a fun place, with a thriving culture and, above all, is tolerant and inviting. Yet there is a final element that Ukraine has been missing. Every great startup culture requires a catalyst, one breakout company that spawns the local financial and professional networks new firms need to thrive. Silicon Valley had Hewlett Packard, Tel-Aviv had ICQ, and New York had Doubleclick. In Ukraine, there’s no one, but that may soon change. AVenture’s Sysoyev estimates that the Ukrainian tech industry is worth about $5 billion and splits the market into four distinct sectors. The first, outsourcing, is the most developed and employs roughly 50,000 engineers across 500 firms. A small but growing contingent of global R&D centers set up by Samsung and other tech giants makes up the second sector. The third major area is e-commerce, which benefits from Ukraine’s relatively undeveloped traditional retail industry. Online shopping has really gained traction in recent years and Sysoyev estimates that the market is now worth about $2 billion, roughly equal to the outsourcing business in Ukraine. Yet where Sysoyev sees the most potential is in a fourth sector that is starting to emerge—homegrown software firms who design, build and market their own products for the global market. He mentions six that have the potential to become billion dollar businesses in the next five years: Paymentwall, Grammarly, bpm online, InvisibleCRM, Depositphotos and Jooble. He also notes that there is a slew of exciting new startups. Some, like Petcube and iblazr received initial funding from crowdfunding sites like Kickstarter, but most make do by bootstrapping themselves to profitability. Clearly, if the capital infrastructure in Ukraine was to improve, we’d see a lot more startup activity. If Sysoyev is right about the possibility of Ukrainian tech companies achieving major valuations in the near future, then Ukraine really does have a chance to break out and become a true technology hub. Even one billion dollar Ukrainian company could attract enough capital to catalyze the entire tech sector (ICQ, which seeded Tel Aviv’s tech sector, was initially acquired for about $400 million). American startups have a distinct advantage. With a gargantuan domestic market and the world’s most extensive venture capital ecosystem, they can incubate in their home country, access financing and, when they reach critical mass, embark onto the global stage. Ukrainian firms, however, aren’t so lucky. So Ukrainian startups have come up with a new model. The companies that Sysoyev cited all focus on the international, rather than local business. Grammarly, for example, produces proofreading software for English speaking markets. Jooble, a job search engine, operates in 59 countries. Most, although they maintain operations in Ukraine, are legally based somewhere else. Another distinct difference is that, due to the lack of venture financing, Ukrainian firms have to become profitable very quickly in order to survive. In a sense, that’s limiting, but it also gives Ukrainian startups an edge that many early stage tech companies lack. They develop an acute business sense very quickly and learn how to compete. And while their revenues are generated abroad, these companies remain very much rooted in Ukraine. Top executives continue to reside in their home country and all of their product development and R&D are based there. That gives them a distinct cost advantage over many of their international competitors. Despite the poor political situation in Ukraine, there are good reasons for optimism. It’s got a high quality, low cost workforce. The conflict zones of Donetsk and Luhansk remain a safe distance from the technology centers of Kiev, Kharkiv and Zaporizhia. European parties won massive majorities in the recent parliamentary elections and the culture is progressive. Yet still, serious challenges remain. Ukraine is a deeply corrupt country and devilishly hard to do business in. It must undertake rapid reform—and endure no small amount of economic pain—to satisfy the stringent EU and IMF requirements required to maintain international support. Putin, in the meantime, seems determined to undermine the country’s upward rise. However, I’ve noticed a distinct change in Ukraine since I started doing business there over a decade ago. In 2004, its people took to the streets in the Orange Revolution to demand democratic ideals. Now they protest for real reforms—insisting that corruption be rooted out, tainted officials be fired and laws be changed to reflect international norms. No doubt, it will be a tough road ahead. But it’s also important to remember that Ukraine is one of the largest and best educated countries in Europe, with an excellent base of talent and technology infrastructure. So while it may seem unlikely for Ukraine to become the next tech mecca, I wouldn’t bet against it.